Our Laurel lounge chair comes standard with a Comfort Firm Cushion and features a loose reversible seat cushion with a nylon zipper closure and a tight back cushion. The frame is crafted from certified sustainable sources and is vinyl wrapped using waterproof staples for added moisture protection. This item is also available with a removable seat deck. 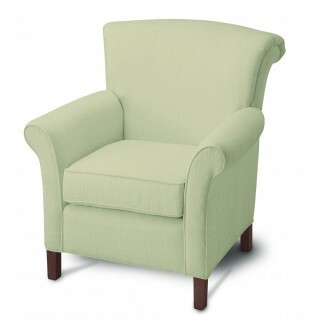 Create a custom look by selecting from our wide variety of upholstery and stain finish options. Our Assisted Living and Hospitality Lounge Collection has a lead time of 5 - 7 weeks from the time your order is processed.